Get Real, Become Focused, Begin Thriving! You’re a generation of parents aspiring to excellence in every way, but you’re also just plain tired. You don’t need another parenting book promising perfection or another formula guaranteeing great kids; you need practical advice that shows how to deal with your and your children’s hearts. If you’re worn out from trying to do too much while giving your child every opportunity under the sun, if you’re striving to excel in every way but suffering from a lack of focus, this book is your solution. Generation NeXt Parenting will help you understand how your specific tendencies are common to your generation as a whole. You’ll embrace the positive qualities that enable you to parent for God’s glory. Lay a firm foundation and thrive as you raise up the next generation! Looking for practical, doable tips and guidance for raising today’s kids? Want to help them love God and be all that they can be (even if they don’t join the Army)? 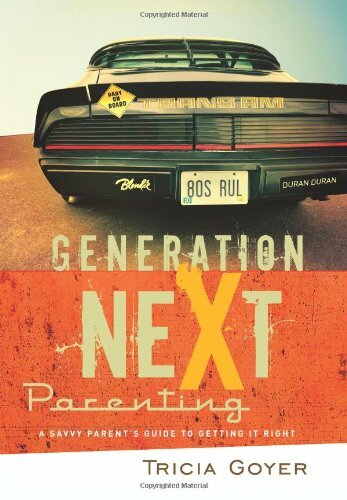 If 70s and 80s bands (Run DMC), fashion (hot pink anything), and technology (music on cassette) bring back vivid youthful memories, Generation NeXt Parenting is the resource for you. Like secrets exchanged at recess with a trusted friend, this book offers helpful hints for raising your children during this exact time in history. Extensive research, input from hundreds of Gen X moms and dads, and a variety of Scripture references will help you navigate even the toughest parenting dilemmas.